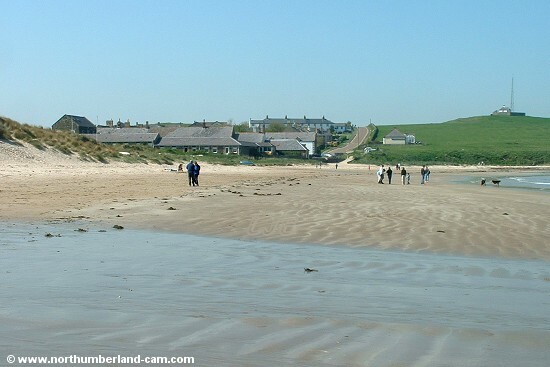 Newton Haven is a very popular beach that joins onto the north end of Embleton Bay. 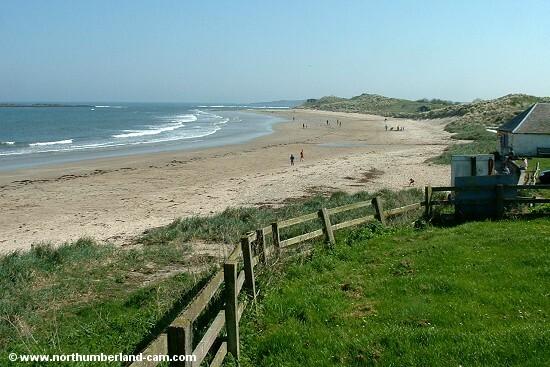 The village of Low Newton is beside the beach and a nature reserve lies just behind it. 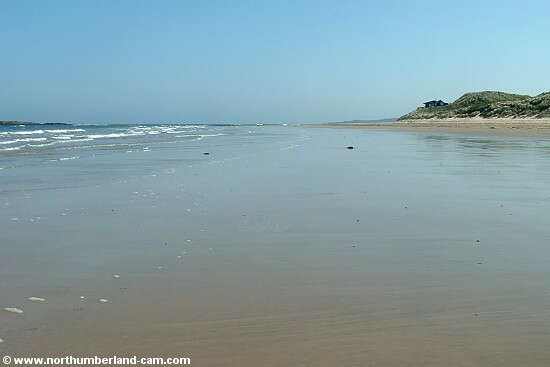 The beach is used by walkers, kite flyers and all the normal beach activities. 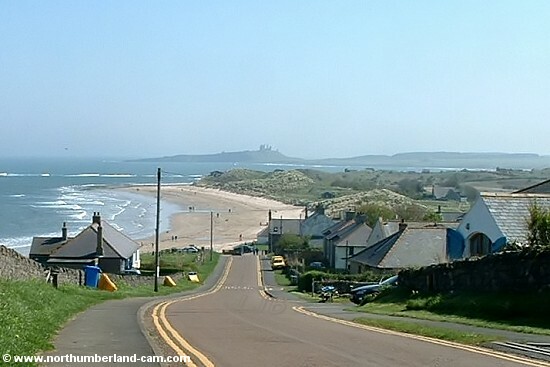 View of the beach at Low Newton from above the village. 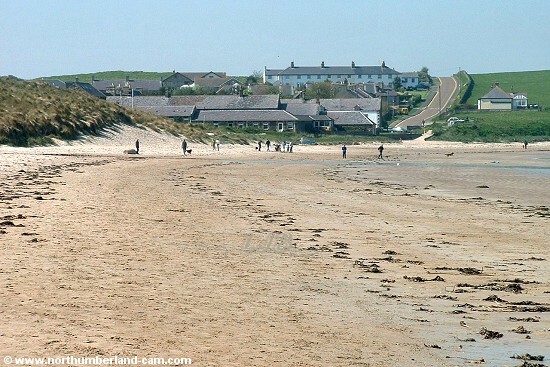 View south along the beach from the village. 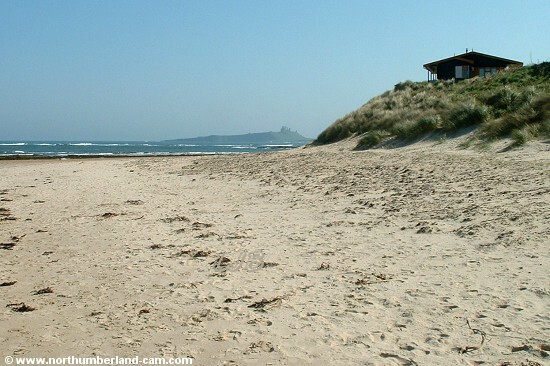 View from the beach to the village. 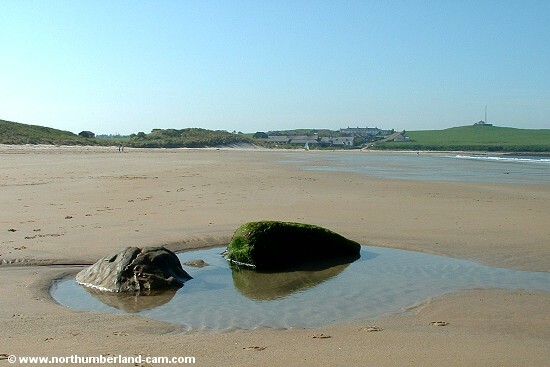 View of the beach at low tide. 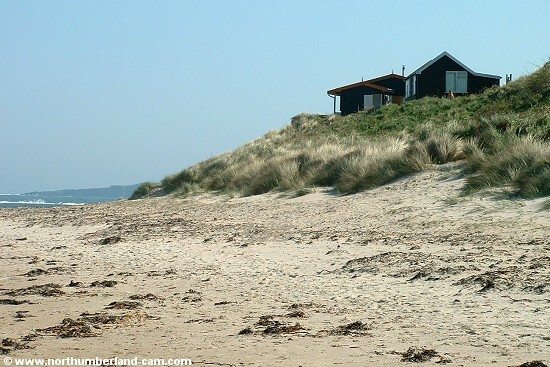 View at the south end of the beach with holiday homes on the dunes above.